Music might be regarded as one of humanity’s fundamental fascinations; something in which most people engage and enjoy. It is difficult to identify a culture in human history that has not utilized some form of rhythmic or melodic medium to create a sense of community, involvement, and/or spiritual purpose. But the amazing experience of music does not end with the melody that we hear. With music comes intense emotional responses, and an urge to move or dance. Music can make us feel triumphant, excited, relaxed, or upset; it can bring us up when we are feeling down; it can express what words cannot; it can demonstrate strength, or give us strength. The overwhelming experience of music extends even further beyond our enjoyment, as music produces distinct and consistent responses in our brains. This is demonstrated in many studies by neuroscientists who explore the effects of music on the brain. Dramatic examples of these effects are playfully shown in YouTube videos of Parkinsonian patients increasing mobility, in part, by experiencing music (1). Additionally, many people have heard of the benefit of children listening to Mozart for their intellectual development, and similar studies have looked at the therapeutic effect of Mozart in reducing the incidence and severity of seizures in those with epilepsy. This tells us that not only is music important to our well-being, it can be an aid when facing the many challenges of everyday life. Music is enjoyable, therapeutic, and, as research would show, an important neurological stimulus. However, the real reason to encourage you to engage in music with others is because music is fundamentally a social activity, increasing bonding when experienced with others. It is truly amazing how simple and effective musical interaction can be. When we hum a tune with someone else, or synchronously beat a drum to a rhythm, a few things happen. First, we must listen to each other. We are, at the point of engagement in this activity, aware of each other’s presence and intention. Engaging in music has the capacity to increase our awareness of others. In one study, school-aged children were given the task of engaging with others in a music-related activity for one hour per week for a full academic year, while other children did either an activity involving drama and not music, or no activity. At the end of the year, the children randomly assigned to the music group showed greater scores on empathy measures when compared to the non-music groups. Music increases social bonding by increasing our awareness of others. Next, we must cooperate and coordinate with each other. Musical expression, being so fundamental to humanity, possesses an intrinsic motivation to have structure. This means that when people engage in musical activities with each other, the end product is a reflection of cooperation, and the common goal of this is to create something that sounds pleasant. Some research shows that when synchronizing beats, sounds, or melodies with others, we tend to gain positive social feelings for the people we are engaging with (and this is true even when we can’t see the person!). 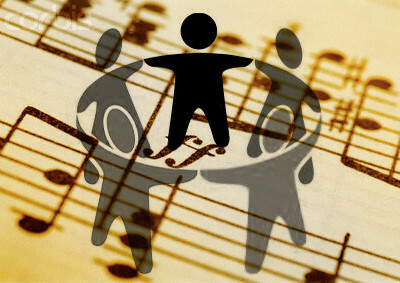 Music increases social bonding by encouraging cooperation and accomplishing a goal. Finally, our brains respond to this engagement by increasing the release of oxytocin from the posterior pituitary gland, a neurohormone that research has linked to social bonding and intimacy in many mammals, including humans. The mechanisms underlying oxytocin’s role in social bonding are still under investigation, but elevated concentrations of this compound in the blood have been related to increased trust, eye contact, face memory, generosity, empathy, and the ability to infer the mental state of others. Music increases social bonding through affective neurochemistry. It is truly amazing to think about all that can be accomplished with rhythmically organized frequencies of sound. The power of music in social bonding is profound, and can be experienced with ease every time that we put an old record on, or listen to melodies from a radio. Music is social, and in sharing music (with each other, or with the artist as when listening to music alone) we experience one of the most intriguing and mysterious ways in which we bond with one another. So whether you prefer the orchestrations of Beethoven, the harmonies of The Beach Boys, or the vocal melodies of Rhianna, share and experience your music with others and let the rhythm make you move… your brain is telling you to! 1. If you are interested in how this is possible, there is a wealth of research concerning how regions of the brain involved in planning and performing limb movements are activated when one listens to music, more so than when listening to other sounds. For more information look into the wonderful work that Dr. Jessica Grahn is conducting by checking out her profile or her TedXWesternU talk.